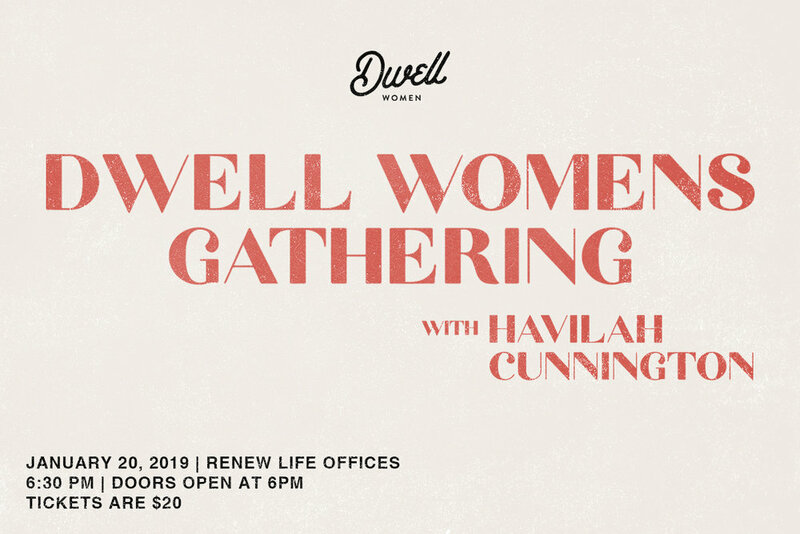 Dwell, the Women's Ministry of Renew Life Church, is hosting a Women's Gathering with special guest, Havilah Cunnington! Please join us January 20th at the RLC Office Complex - 410 S. Pecos, Midland, TX 79701. Doors will open at 6pm, event starts at 6:30pm. ***REGISTRATION IS NOW FULL, BUT YOU CAN JOIN OUR WAITLIST. Please RSVP for each child that will need childcare!